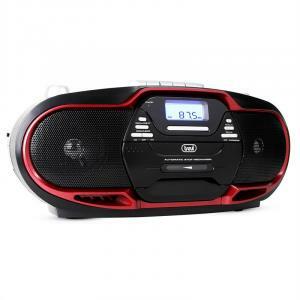 The Trevi CMP-574 is a compact top-loading CD radio with USB input and a compartment for audio cassettes. 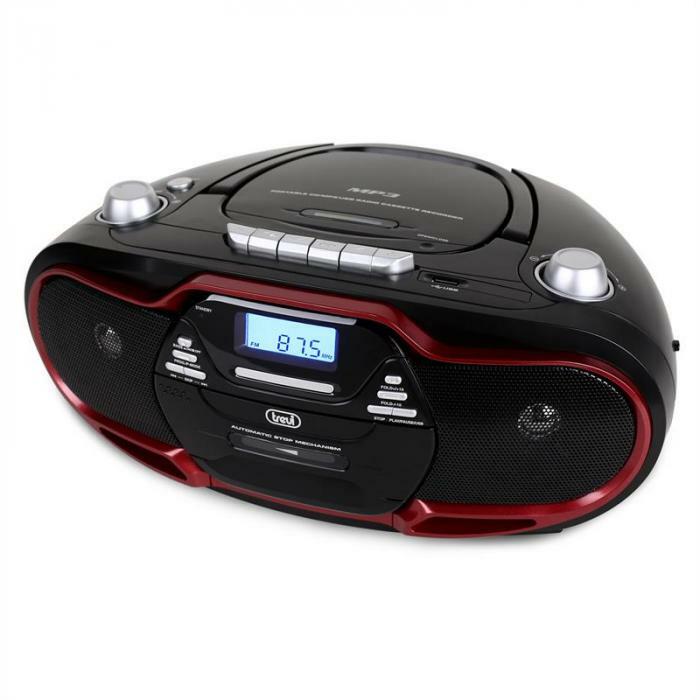 With this stylish all-rounder, you can finally enjoy cassette tapes from your youth again, or make your own mixtapes with music from radio, CD or USB stick. 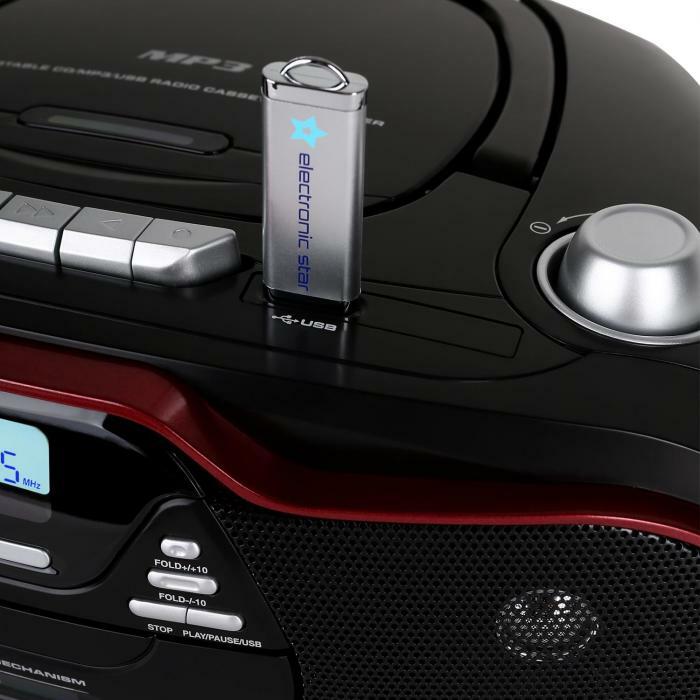 The USB slot also allows you to play MP3 files from removable media - file handling goes through efficient folder navigation from your hand. 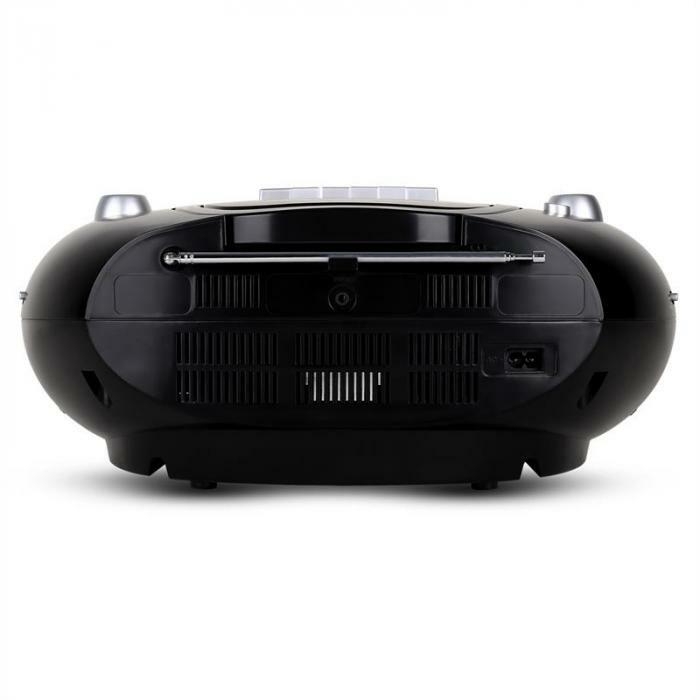 The backlit LCD display and front-mounted controls support the simple operation of the device. 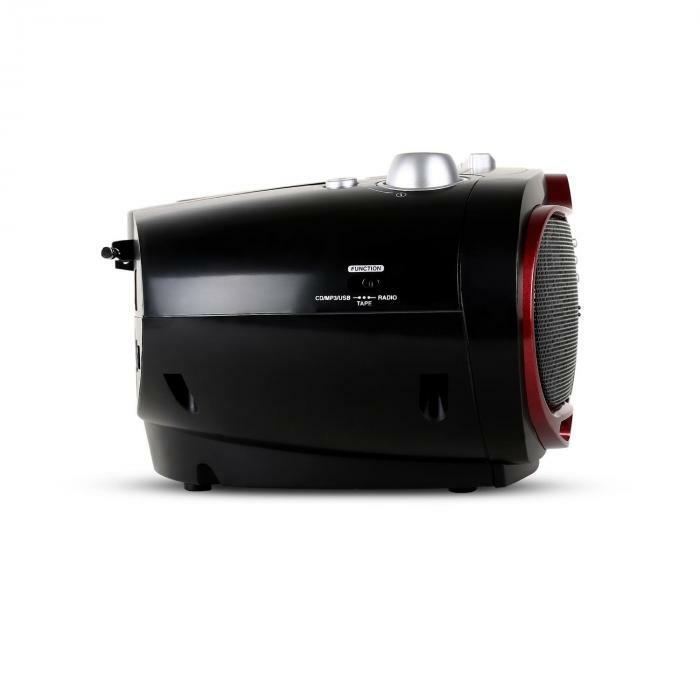 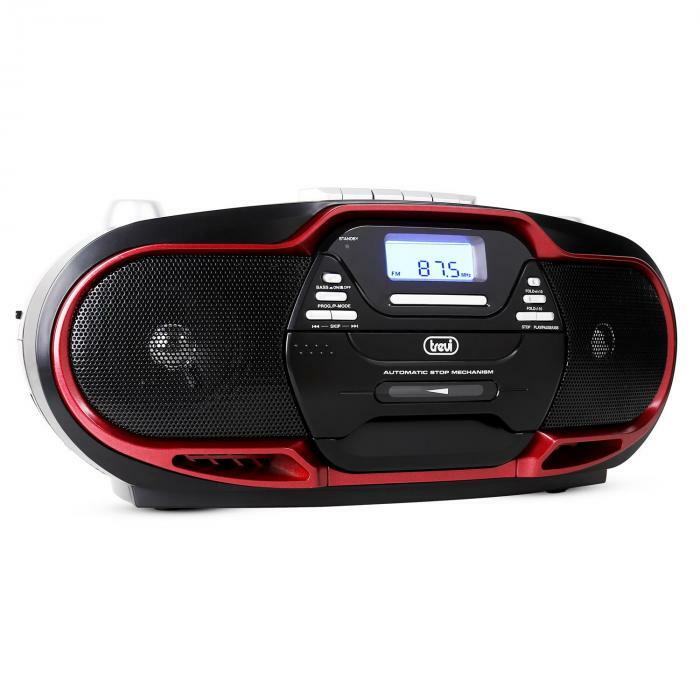 A built-in AM / FM tuner, optional battery operation and a carrying handle on top of the device make the compact radio a faithful companion on-the-go. 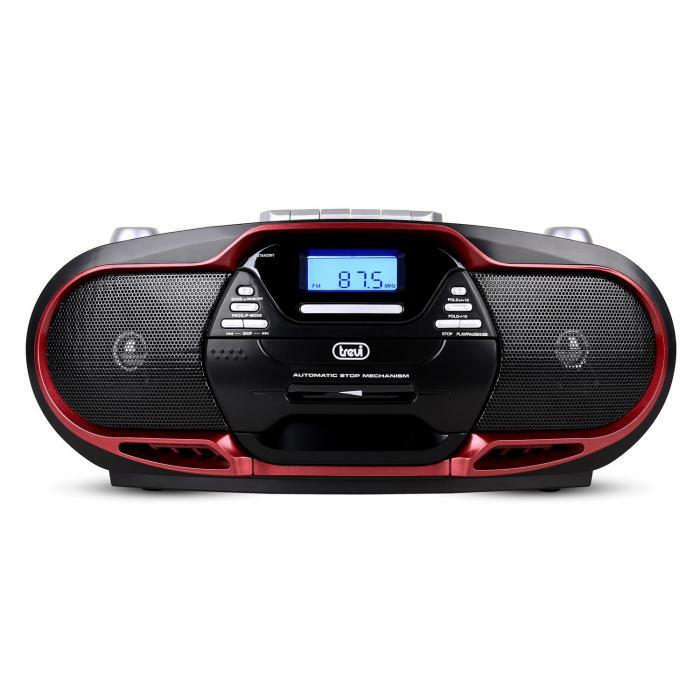 With its simple design and the stylish red accent on the front panel, the Trevi Boombox is pleasing to the eye.